Pastors and teachers have been too afraid of preaching on Biblical finances. Pastors and teachers have not laid out a clear theology on Biblical giving. Church leaders have taken their focus off ministry. In that post, I addressed the problem. Now, in this post, I'm going to flip the problem around and discuss three solutions for pastors and churches. Pastors: preach the Word, the entire Word! If there are anywhere between 800-2,000 direct Biblical references on financial matters, then we should be preaching these passages to our congregations, unashamedly. Don't let your congregants talk you into soft-pedaling Scripture. We need to teach the Body of Christ that God owns 100% of the money and assets He has chosen for us to manage. Our job as believers is to be excellent managers of the entire 100%, not only just a 10% tithe. Also, be reminded that Jesus' #2 preaching topic in the Gospels was money. He preached on it a lot, because He knows that money can get a grip on our hearts and cause us to stumble. We need to clearly spell out the church's theology on giving. The entire Bible, both Old and New Testaments, would seem to support regular, percentage giving, with the "floor"of that giving starting with the tithe. We also need to teach through Scripture that while Old Testament law demanded at least 10%, New Testament grace asks for much more. Jesus' teaching always asked His disciples to go to that "next level"of faith and obedience above the Mosaic Law. The corporate church needs to get their focus off of buildings and back on to missions and ministry. Church leaders who have allowed the body to get into massive building debt should seek the forgiveness of their congregations. Building debt has allowed the church body to be hindered in doing more in the areas of missions and ministry. These same leaders should develop a strategic plan to encourage their congregation to focus on paying this debt off as quickly as possible. Perhaps, these same churches should covenant together that they will never go into debt again to build buildings? A better way would be to seek the Lord's will and financial provision rather than man's wisdom and debt instruments. Honestly, I believe building debt causes more problems and pain over the long haul. Knock it out as quickly as the church is able, and then direct all of the church's focus and energy on the real mission of the church. It's a new day. Our financial future has completely changed. The days of "easy money" are long gone. Governments, individuals, and unfortunately even churches have foolishly dug themselves into deep financial holes that are going to take a lot of time and energy to get out. If you're a pastor or lay leader in a church that is in severe financial pain, then let me be an encourager to you, today. God wants you to seek His face as you work through the massive challenges you have before you. Acknowledge that you as a church body have made some major mistakes. Ask for the Lord's forgiveness. Then ask Him for wisdom, guidance, and provision in order to get the Body of Christ into a healthy financial position. 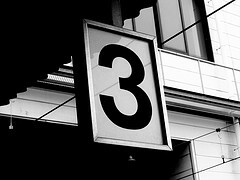 Utilize the three solutions above and watch your church soar to new levels of giving.